It may not be the first time that one of Google’s popular self-driving cars had been involved in a crash though it may be the first time it had triggered one. Google would be meeting with California’s Department of Motor Vehicles – DMV for discussion on the incident and identify the blame. The car had been travelling at 2mph on February 14 and had pulled out in front of a public bus that was going at 15mph. The person in the Google vehicle had reported that he presumed that the bus would slow down to let the car out and hence he did not supersede the car’s self-driving computer. The crash had taken place in Mountain View in the vicinity of Google’s headquarters. Google had mentioned in a statement that they clearly bear some responsibility because if their car had not moved, there would have been a collision. Considering that the test driver was of the belief that the bus would be going slow or stop to permit them to merge in the traffic, and that there would be adequate space to do so.The self-driving cars of the company had clocked up well over million miles across different states in the US and till now had reported only minor `fender benders’ which is an American slang for minor collision. Other road users were to be blamed in all of those cases. Google tends to release monthly report specifying the testing of its self-driving technology and ahead of the report’s publication of February, due on Tuesday, a traffic incident filing had been made public by the DMV. The report read that `the Google AV – autonomous vehicle, test driver saw the bus approaching in the left side mirror but believed the bus would stop or slow to allow the Google AV to continue. Approximately three second later, as the Google AV was re-entering the centre of the lane, it made contact with the side of the bus. The Google AV was operating in autonomous mode and travelling at less than two mph while the bus was travelling at around 15mph at the time of contact’. The report stated that the movement of the car were made more complex by the presence of sandbags on the road. 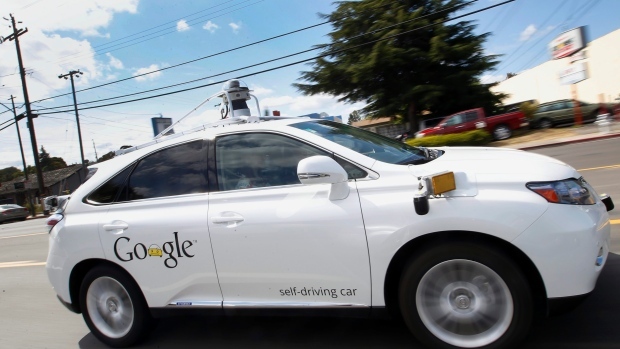 Google has informed that it has now refined its self-driving process. Google has mentioned that henceforth, their cars will understand more deeply that buses would be less likely to yield to them than other types of vehicles and hope to handle situations like this more gracefully in future. If DMV tends to consider the Google car to be at fault for the collision, it would be perceived as a setback for the ambitious autonomous vehicle plans of the company. The bus crash had taken place just four days after a legal breakthrough for the self-driving project. The US National Highway Traffic Safety Administration had informed Google that it would probably give the self-driving computer similar legal treatment as human driver and that decision paved the way for self-driving cars without any distinctive controls like a steering wheel or pedals. Minecraft is much loved by millions game lovers across the world and now Microsoft has revealed what the immersive world tend to look like in virtual reality. Microsoft purchased the block building phenomenon in 2014 for $2.5bn which is a massive deal that has made the fans apprehensive about its future. The US firm has assured not to ruin its widespread formula and has instead stated that it would invest in bringing Minecraft to the next level. At the event in trendy Mission District in San Francisco, the Xbox division showed for the first time, the virtual reality version of Minecraft. Palmer Luckey, creator of the Oculus Rift VR headset commented that it makes one feel like they are in the world of Minecraft. Similar to several VR experiences, it seems to be completely absorbing and for those passionate with addictive building process of Minecraft, it seems to be a big leap from watching it on a normal screen. As for a game focused mainly for children, there is one figure which could bother the parents which is $1,500. 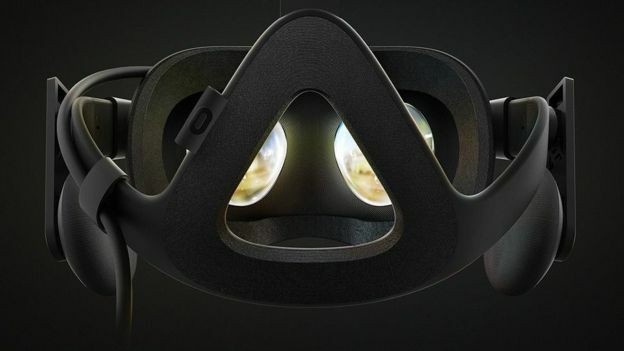 It is the recommend price which needs to be spent if intending to purchase an Oculus Rift headset and a PC adequate enough to power it. Minecraft on Oculus seems to be one of the many games on display at the Spring Showcase of Xbox an opportunity for journalists together with a few influential YouTube gamers to get their hands on with the forthcoming blockbusters. Several of the titles on show had been pushed as great to play on PC through Microsoft’s Windows 10 operating system. Head of Xbox, Phil Spencer had commented that if one tends to look at the numbers, PC gaming seems to be the fastest growing segment of gaming and it is natural that one focus on gaming on Windows. Microsoft had chosen not to make its own headset with regard to virtual reality; though it is developing the augmented reality focused Hololens and is rather working in making it compatible with the Oculus Rift and HTC Vive. With regards to price debate, Mr Spencer stated that he was of the belief that virtual reality would follow the path of high definition TVs, which is a luxury product to begin with though hard to resist once experienced. He added that the early adopter will be there to help spur the VR industry. New games seem to mean nothing unless gamers tend to get online to play them and recently it has been more of a challenge. The service Xbox gamers would play against each other over the internet which has stressed out thousands. Displeased fans comprise of rapper Snoop Dogg had requested Bill Gates to fix the issue or he’d blemish to PlayStation and Mr Spencer had apologised for the issues. He stated that it’s obviously always regretful and the last outage was a concern and they learned from it. They understood precisely what the issue was and it took a little more time that they would have liked.He disagreed that the company had been the victim of a hack stating that when its network was under continuous attack it was not as it was claimed, demolished by coordinated attempt to cut the gamers off. Besides this on the risk of losing Snoop Dogg, he commented that Snoop had been a long time gamer and long-time supporter of Xbox. A tablecloth with a drum kit as well as piano keys printed on the fabric turning dinner into a musical recital has been created by a Swedish company. Specialist Li Guo together with Mats Johansson from a technology company, Smart Textiles which is based in southern Swedish city of Boras,is responsible for the smart fabric conception. Johansson who has strong interest in music commented that the team desired to combine sounds and textiles in a fun way. Johansson informed Reuters that the special thing is that it is all from textile technologies. 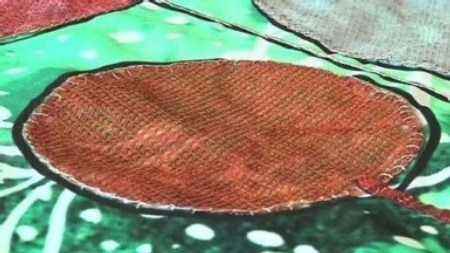 They had the woven cloth but on that were prints for the piano and haveadded together with other laminated textile structures for the drums which are from knitted fabrics. It was then sewn as connectors or taping so it is the technologies that they are familiar with in textiles, now utilised for entertaining purpose in this case. Li, his colleague holds a doctorate in textile sensors and has been researching on how to integrate them in garments. The tablecloth is said to be made partly of conductive fibres which tends to carry current, converting it into signals. They have mentioned that turning a tablecloth into an instrument is all due to the sensors. The team are investigating on how to integrate them into garment or to combine sounds and textiles. Lia has explained that one can see several different pins here which are actually functioning as sensors. When one tends to press one, it is actually switched on and the technology behind it all is sense capacitive coupling. It tends to sense any of the conductors where human beings are conductors and when one puts their finger on it, it seems to get switched on. Lia seems to see several probable uses in the near future, though the technology is not yet totally established. She further adds that sensors could be of different types and now we have touch sensors. They have also been working with stretchable sensors as well as textile electronics which can obtain signals from heartbeats, for instance from the human body. It could thus be supportive with home-based health monitoring. Johansson has mentioned that the most difficult task was to connect the soft material with hard electronics and one of the main challenges in the smart textiles. He adds that the problem currently is very much where one gets this change from the actual fabric to some type of electronics, from soft flexible substance to the rigid hardware, besides the electricity and the batteries. They seemed to be difficult to make from the real textiles though there are projects which tend to look also into that, to make it also lighter and flexible and so on. Li had stated that in the future, smart fabrics with embedded sensors would be a common place. The team have forecast that in the near future, there would be sensors in clothing which would monitor as well as send data to fill the market, thus making what one tends to wear, a tool in keeping you healthy while also making a fashion statement. The chief executive of Google’s artificial intelligence start-up DeepMind, Demis Hassabis is making preparation for the session of its life, a five game match against Lee Se-Dol who is one of the strongest players in the world at the ancient game of Go. Last year in October, the company’s program AlphaGo had achieved a historic milestone beating Fan Hui who had been the highest ranking European player of the game, scoring 5-0. It had been the first time a computer had beaten a professional Go player in an even match.However, Hui was ranked about 800th in the world prior to AlphaGo and is a two dan player where his rank on the dan sale of professional play that tends to start at one, rising to nine. In contrast, Lee is a nine dan player with the second highest number of international titles to his credit. Due to the marked increase in his skill, Hassabis had been prepared to only rate AlphaGo’s opportunity of winning at about 50%. Hassabis, speaking from DeepMind’s headquarters near Kings ‘Cross station in London, in a conference room that had been named after pioneering logician Kurt Godel, had explained that for his company, winning the match was not the most essential thing. The $1m prize pool which Google had put up for the match would be donated to Go and Stem charities as well as UNICEF, should DeepMind win and winning or losing, AlphaGo would gain valuable feedback from battling with one of the strongest players which the game has ever seen, besides the feedback, which no one working for DeepMind would be able to give, the machine having surpassed its developer long ago. 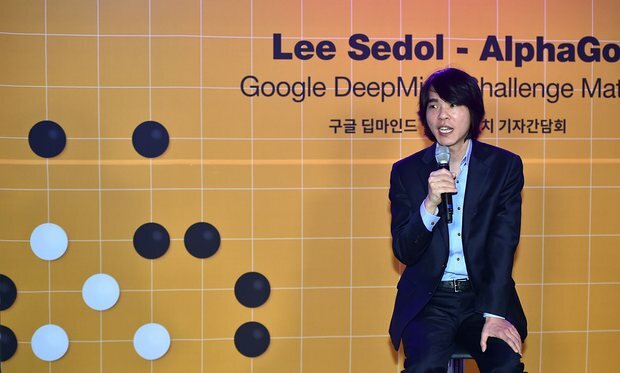 The vice-chairman of Korea’s Go association, Park Chi-Moon had inserted a note of caution for humanity that `DeepMind was of the belief that Alphago has 50% chance of winning and that they believe they are in fact more confident. However, Lee himself was more confident in his skills and standing on stage visibly nervous in front of the crowd in Korea, said that he will not be too comfortable in approaching the challenge and will not be too arrogant in his preparation. However, he added that the company had only five months in improving the system since its game again FanHui. He commented that due to the time limits, he does not think that it would be a close match and believes that it will be 5-0 or perhaps 4-1 and the critical point for him would be not to lose the match. There could be a possibility for him of taking a clean sweep. Hassabis agreed that the system seems to have various weak points and that part of the cause for the game against Lee was to gain more information on how to progress in those conditions. However he refrained from divulging in more details for fear of handing the game to his challenger. But behind the fight for mastery over Go is a broader aim. The game seems to be a perfect test-bed for the machine learning techniques of DeepMind and the same systems which it had mastered Go would be soon put to use, enhancing the voice-controlled assistants on the smartphones of Google. In the longer term on tackling issues, regarding climate as well as healthcare modelling, an announcement on the latter would come later this week. The most well-known British computer so far is the Raspberry Pi and the title was previously held by the Amstrad PCW which is believed to have sold around eight million units. The sale of Raspberry Pi will exceed that amount this month according to Eben Upton the founder of Raspberry Pi project. 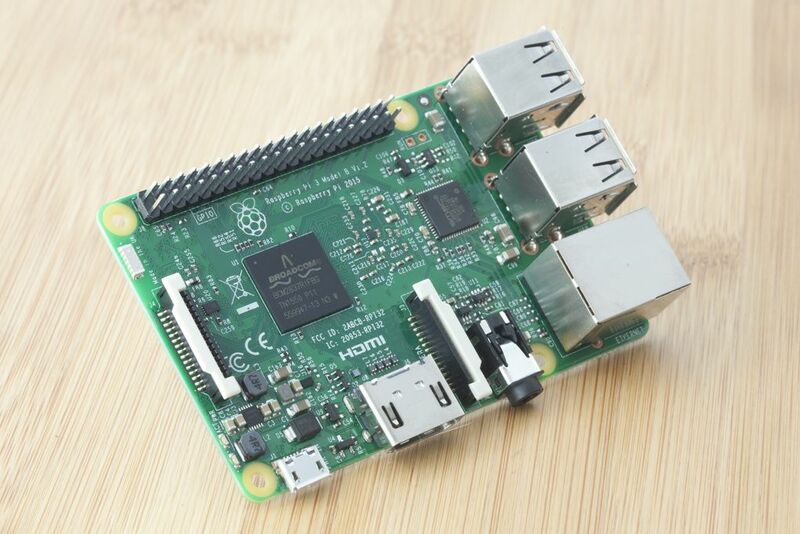 The breakthrough has come as the Raspberry Pi 3 had been unveiled featuring a quicker 64-bit processor as well as a built-in Wi-Fi and Bluetooth connections. Mr Upton had stated that they are the best-selling UK computer. He mentioned that the Pi Foundation originally believed that it had won the title last year when the sales had gone past the total set in 1980s by Sinclair machines. But he mentioned it had appeared that the Amstrad machine had been sold in great numbers and that the total too had exceeded. He added that the curve tends to keep trending upwards and the sales will get a lift from the release of the Raspberry Pi 3 by the end of February. The sale price would be $35 and a few hundred thousand units would be available on launch day from the online stores. The Raspberry Pi 3 retains the form factor of the Raspberry Pi 3 and works well with the latest version. He had informed BBC that the two main things which people tend to do with their Pi are utilising it as PC replacement or use it as an embedded computer. The Pi 3 is doubling down on both these things instead of going looking for new things to do. The updated device tends to have a 64-bit processor on-board which provides the Pi 3 a performance of 50% improvement on the Pi 2. Besides this the built in to the latest device are the Wi-Fi as well as the Bluetooth connections. He mentioned that for hobbyists, who use the Pi, it tends to act as a hub for home gadgets who would be able to use Bluetooth to connect devices as well as sensors together. He said that this is the first Pi one can stick behind the TV and tend to forget about it completely. There have been indications that the Pi had been successful in achieving one of its formation focus that is to make computer science as a more well-known option at degree level. Mr Upton had mentioned that the Pi’s popularity together with the other coding projects were arousing interest in the technical subject. He mentioned that in some of the institutions the number of individuals enrolling on computer science courses had improved from the low points that were seen in 2008-9. But he admitted that it may yet be too early to see the complete effect of the Pi on the people who tend to pursue coding or their technical skill, considering that the first Pi was released only in 2012. He said that the gadgets had begun being used extensively in schools and the merger of the Pi foundation with the Code Club initiative could ensure that it reaches more children and with children in the age of 9 – 11, would be seeing a lot of people getting excited about it at that level.